Senegal kicked off their 2015 African Cup of Nations qualifying campaign with a solid 2-0 victory over a lacklustre Egypt side in Dakar, as they stated their case to be serious contenders for that top spot in Group G.
Playing a team that wasn’t necessarily full strength, the home advantage proved to be sufficient enough for the West Africans to ensure that Egypt suffered another loss in the region, with their last visit coming in 2013 when they lost 6-1 to Ghana in the World Cup qualifying playoff match. With Moussa Sow and Mohamed Diame only used off the bench, and Papiss Cisse, Demba Ba and Henri Saivet spared of any action at all, they overcame their North African opponents with relative ease in their capital, as they perfectly exploited the serious deficiencies in the Egyptian backline to take a first half advantage that saw them through all the way till the end of the game. With the Senegalese starting the game by aiming to put constant pressure on the Egyptian defence, the swarming technique did show the nervousness they had with the ball at their feet, which seemed sufficient enough to make them a bit panicky every time Senegal had the ball. Whilst there weren’t too many clear-cut chances before the goal – with only a Dame N’Doye shot from a Mame Diouf knock down on the edge of the area troubling Sherif Ekramy – it was always going to be the Lions of Teranga to score first. Indeed, seconds after this shot, Ahmed Fathi gave the ball away to N’Doye, who picked out a run from Diouf behind the defence to poke under the keeper. With the Egyptian back three completely flummoxed by some fairly basic movement from Diouf, the already suspect defence began to rock more aggressively. Egypt largely used possession via the long ball, as the constant clattering towards the runs of Hamoudi, Kamar and Salah proved particularly unfruitful, as Ludovic Sane and Papy Djilobodji gobbled up these like a pair of Venus Flytraps. With El-Nenny and Ghaly rarely able to pick any sort of useful pass – with wing-backs Amhed Elmohamedy and Ahmed Fathi utterly nonexistent – Egypt rarely carved out any sort of opportunity to put the ball in the back of the net. With Senegal still pressing and Egypt looking shaky, another lovely pass from N’Doye saw Senegal double their advantage before the break. Picking up the ball just in the middle of Egypt’s half, he picked out a lovely pass for Saido Mane, cutting out three or four Egypt players, as the new Southampton man slotted it into the net for his fourth goal for his country. Things calmed down a bit in the second half. Senegal didn’t make too much effort to make things happen, whilst Egypt sorted themselves out and actually managed to keep the ball, as the novelty of ground-passing hit them during the half-time break. Now able to get the likes of Salah on the ball, they almost exploited a mistake by Sane after he airkicked a clearance, but the Chelsea man couldn’t quite get the shot away. Elsewhere, a horrendous tackle from Okka should have seen him sent-off, as he took out Mane very cynically when he has acres of space in front of him in Egypt’s half. Koman Coulibaly deemed this to only be worth half the punishment, as he earned himself just a yellow card. The ageing team picked by Shawky Gharib has no doubt lead to calls for more exciting young talent to be included, as the 3-4-3 formation that worked so well during their decade of dominance failed miserably, with the defence clearly too slow and ill-disciplined to be able to play it properly. With the likes of Ahmed Hegazy and Remi Rabia in the squad, and with the pace of Diouf and Mane so able to exploit, it is perhaps slightly questionable why some fresher legs weren’t employed in that area of the pitch. But it wasn’t simply an issue of formation. Ahmed Fathi and Hossam Ghaly were particularly poor across the rest of the pitch, and generally looked a bit devoid of ideas, with Momahed Salah often looked to in order make things happen. Indeed, it didn’t quite come off for the ex-Basel man, as he perhaps lacked a bit of match sharpness with his lack of games for his current club Chelsea. This could be a long-term concern for Egypt, with Salah unlikely to get much game time for the rest of the qualifiers, after a loan move failed to materialize during the transfer window. Senegal will take pride in their performance however. The defence looked fairly solid, midfield three of Cheikou Kouyate, Stephane Badji and Idrissa Gueye putting in an excellent shift to drain Egypt’s minimal attacking threat, whilst Mane, N’Doye and Diouf in the front three looked a very promising trio. N’Doye in fact almost played as a number 10 at times, sitting beihnd Diouf and pinging passes to him and Mane, as the two of them made runs in behind the seeping Pharoah defence. Whilst the likes of Sow, Cisse or Ba may be preferred for later games, it bodes well that Giresse knows this trio can function well together. 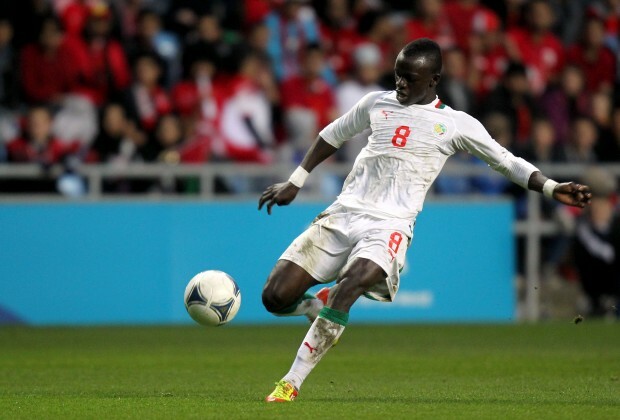 With Tunisia and Botswana the other members of this group, Senegal have shown that they are very much capable of finishing top, as they beat one of their main competitors with relative ease. Egypt will likely be eyeing Tunisia as their main rivals to that second place spot, but an impressive Botswana side of recent times could cause them some trouble as well, so it is important that they move on from this performance and shape up for later games.